To start, I created a live blog of various sessions here. You can see the information that seemed to summarise the event as we went through the two days. Overall I’m impressed with the vision and strategy that we were presented with. HP appears to have made a significant commitment to establishing the HP Networking and providing the kick start that it needs. It’s seems to have been integrated over the last year or so and is ready to come to market. The people we spoke to are clear on their vision and I felt that their objectives are reasonable. And for a group of marketing people, they had a realistic view of the challenges and no nonsense method of communication. In short, they aren’t spinning us a line. Refreshing really. Also clear is that they are targeting the Enterprise, from large to small. No intention of attempting to attach to Service Providers (possibly leaving that to Huawei). Most of the products are developed and designed in China. On balance I’m comfortable with that as, very broadly, I prefer Chinese business habits of ‘ drive to ship products’ as compared to Indian habits of ‘bureaucracy at any price’ (perhaps noticeable as Cisco product development times get longer and longer). The Switches is further broken into the A, E and V series. V-series is dumb switching ( think V for value ) and the ProCurve products have been kept and renamed as the E-series. The E-series also includes certain products from the H3C product set that fit the SMB and Retail and has some modular capability. The premium switching is the A-Series including some very large bits of tin focussed on the Enterprise. We didn’t get any technical information on the products, so I can’t give a view on the actual products. Maybe I’ll get some time to analyse the papers in the future, but I can’t discuss the important features such as backplane design, module capacity and performance and the format of the ecosystem. Once upon a time, 3Com had one of the best Network Management products ever and was far ahead of it’s time. It was both a great success for very large customers, and a failure for smaller customers because the software needed Solaris to run ( Ten years ago, Solaris was almost unmaintainable by most companies because of poor training and adoption). HP Networking has made an acquisition to add a new management platofrm. In my view, it looks much improved from the Cisco Works platform, with a decent web interface (doesn’t look like something from 1999) and runs pretty fast over a low speed connection (demo was remote). Something to look at more closely. You can work through the preso here. and a ‘stacking’ type approach to scale out IPS performance. And here is the presentation, it’s worth a quick overview. There was also some discussion of Unified Communications, which didn’t interest me much (I think IP Telephony is being surpassed by mobile phones and cloud computing. There was also some wireless gear which looked interesting, but I don’t have the presentations to refer to. So what I didn’t get to cover. The HP Network Day was an introduction to HP Networking. Given that I have had limited exposure to HP and, quite deliberately, no exposure to 3Com, it was chance to understand some of the corporate methodology. What we didn’t have time to get into, is the details of the product, how it works, what the designs look like. Then again, the product range is large: it’s a lot of switches, routers, software and security products to look at. And while it was good to meet senior executives within the company and understand how the current forward planning, I came away thinking “not enough technical stuff”. Maybe there will be opportunities for this later. I’m guessing that they don’t want to alienate existing customers so they are continuing to produce the ProCurve gear. Even though there is significant overlap in the product lines. Given that most of the 3Com products use merchant silicon, and the ProCurve is custom fab this may be a bet on the best of both worlds. Talk from Senior Execs about pricing products well below Cisco pricing. This is practical recognition of the market, and no stupid talk about ‘market leadership’ or ‘premium company’ or ‘HP badged’ like I have heard before. Focus on Standards was a big topic. It seems that HP is well represented on the IEEE and believes that supporting standards will be a key selling point. There is plenty of execution yet to happen on the HP Networking,, and the details can easily cause problems. Simple things like a bad batch of products or poor quality code can quickly build a bad reputation. On the other hand, HP has plenty of existing customers who will seriously consider buying. And don’t underestimate the customers who don’t want to pay the very high prices for Cisco products. Cisco’s 65% gross margin is much higher on core switches and routers, with rumours of 80 to 90% gross profit margins on mid-range routers and switches. It won’t take much for these people to switch away. Once HP has some traction it’s likely they will be a major player in the networking market. 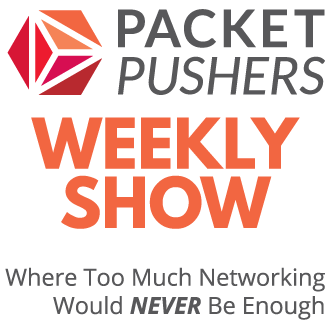 I’ll be looking into some of what I think HP needs to be successful in future posts, and will talk about some aspects on the Packet Pushers Podcast in the next few weeks. HP Networking Tech Day is sponsoring the flights, travel and accommodation for this event. I am not required to write or podcast about the event and am free to share my own thoughts and perceptions. As if I’d do anything different. I am not paid for my time and do not receive any recompense for writing. Waste of time then? And what’s that stuff about China vs. India? Tut tut. That’s my view. My personal experience of software development with Indian companies has been….. ‘challenging’, while Chinese software development has a different profile. As you mention in your twitter, Cisco manufactures in China, but do you if your company also does software from China ? I’ve not heard that myself. Readers should note that Steve Chambers is a Cisco employee. I’m sure his opinions are his own. Anything else on security (or security-related) besides Tipping Point? 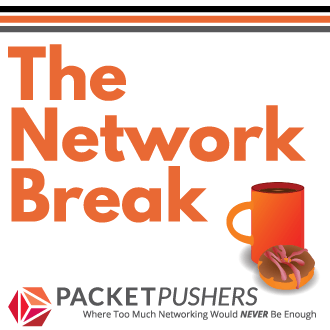 Firewalls, VPNs, WAFs, Load Balancers, … ? From what I understand, the only security products are Tipping Point IDS plus NAC and AAA software that is part of the IMC management suite. I didn’t see any discussion of firewall or VPN products and can’t find them on the web site. I would say that HP needs to make an acquisition to complete the portfolio for Network Security, although it’s not that hard to make your own with modern tools. Most of the problem with security is the certification and testing takes so long. With access to the resrources at Tipping Point, they could get something done pretty quickly I would think. Maybe someone from HP would like to make a comment.